My spouse will not go to marriage counseling and we need it. My spouse will not go to marriage counseling and we need it. You found marriage help that may just work this time, you tell your spouse about it, ask him/her to join you, and you get a big fat “NO”. What are you supposed to do with a spouse that will not go to marriage counseling or even refuses to work on improving your marriage with you? What can you do if your spouse will not go to marriage counseling? If you are like the other interested husbands and wives that call us all the time but can’t seem to get their spouse to join in, don’t give up just yet. You are wise in wanting your spouse to go with you as our intensive marriage counseling retreat is the quickest and most effective way for you to improve your marriage. I am convinced that if a couple would try Imago therapy (the ONLY method of marriage counseling that we practice), that they would be filled with new hope & belief for their relationship. If only it were that easy to get your spouse to come with you! Before you even try to “drag” your spouse to marriage counseling when he/she just doesn’t want to go to counseling, let me first share some of my secrets with you on how to Communicate with your Partner AROUND the issue of coming to marriage counseling, because I wouldn’t want the issue of coming to marriage counseling to put even more stress on your marriage. The first step in learning how to communicate with your partner about going to marriage counseling is to know there’s always going to be a Dragger vs. Dragee. First of all, there will almost always be some dragging involved. Let me introduce you to the dragger and the draggee. This means that one of you is going to be more interested in working on your relationship than the other. You can expect that if you are the interested party, that you will be doing the dragging. However, there are a few things you can do to reduce the resistance of the dragee. Understanding that your spouse has good reason not to come to counseling is the first step in learning how to communicate with your partner effectively around the issue of marriage counseling. Realize that all because your spouse doesn’t want to come to counseling does not mean that he/she is ignorant or disagreeable. 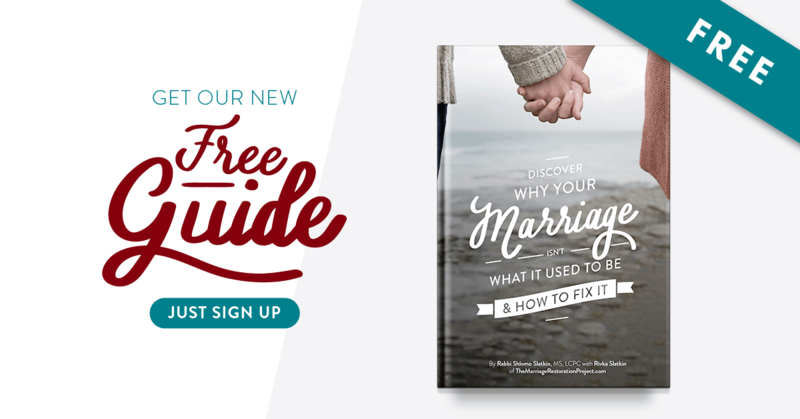 There are plenty of good reasons why your spouse would not want to come to marriage counseling, including all the previous times that marriage counseling didn’t work. Would you be excited about being blamed or shamed, forced to change, or ganged up against by the therapist? I sure wouldn’t be. Although I guarantee that Imago therapy will be different, people are still wary until they experience their first session. The second thing you can do to learn how to communicate with your partner about going to marriage counseling is to reduce resistance. The way you do this is to take responsibility for your role in the relationship. Most people resist couples counseling because they feel that their spouse wants to change them. Many spouses just don’t know how to invite their unwilling partner to work on their relationship in a safe way. The secret for learning how to communicate with your partner about going to marriage counseling is just that-taking responsibility. When you take responsibility for your role in your marriage, you take the burden off your spouse. Of course both of you are accountable, but if your spouse feels like it is all his/her fault, he/she will be less likely to acquiesce to your request. So what can you do to take responsibility? There are no tricks or lies involved. You simply tell your spouse that you really want to be a better spouse and that you are inviting them to join you to help you in that endeavor. If there are any undesirable behaviors you do in your relationship which might hurt your spouse, now is a great time to acknowledge one and say that you want to work on your annoying behaviors so that you can be easier to live with. You can also say that you are only committing to having a conversation with the therapist and you can decide together afterwards if it was helpful. This also takes away some of the risk as our free relationship clarity sessions take only 20 minutes of your time. After that, you never have to speak with us again! What if all of these techniques don’t work? Don’t resort to coercion or threats. The worst thing you can do is to pressure him/her. No matter how ready you are, sometimes your spouse is not ready. It is important to go with the resistance. In the long run you will find that this approach of accepting your spouse where he/she is will benefit you the most. Even if your spouse doesn’t want to go to counseling, begin improving your relationship by downloading a free copy of our book The Five-Step Action Plan to a Happy & Healthy Marriage and begin learning what you can do to build safety, trust, and love in your relationship. After you work on those, it may be a safer time to invite your spouse again for counseling. If you want to talk with us about your situation in the hopes that we can help you talk with your spouse about how this time marriage counseling can work for you, contact us via our contact form. Sometimes a couple needs a bit more of their marriage counseling questions answered before they’re ready to take the plunge.